Madre de Dios, capital city of Puerto Maldonado, is home to never-ending rainforests, abundant wildlife and winding rivers. This place is a shelter for endangered species like maned wolf and marsh deer in addition to being a secure place for indigenous communities. 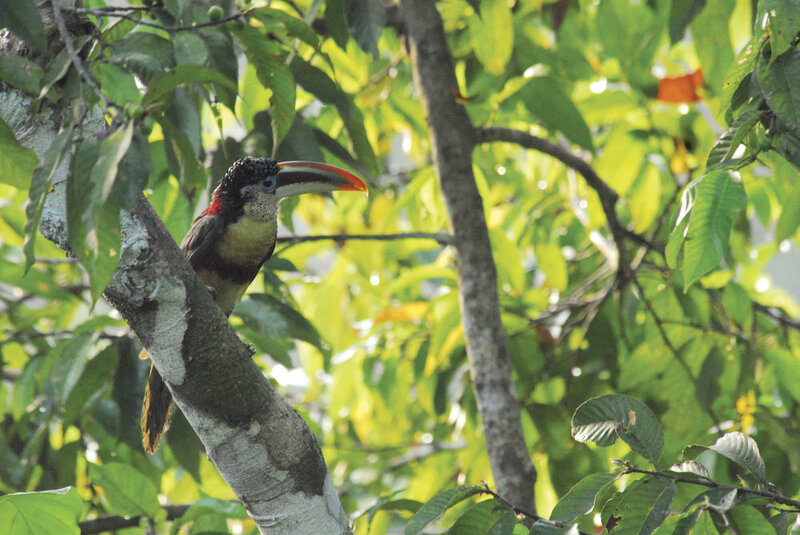 Madre de Dios promotes eco-tourism and is considered to be accommodating the richest biodiversity in the world with Lake Sandoval, Lake Valencia, Tambopata National Reserve, and Manu National Park. The pristine nature with unique flora and fauna is the major attraction in Madre de Dios. Reserves are attracting large number of tourists, from around the world, who are interested in nature and wildlife photography. The name Madre de Dios is derived from Madre de Dios River, a tributary of Amazon River. This name which was given by Spanish colonists who dedicated the words to Virgin Mary, which literally means Mother of God. During the colonial era of Peru, it was impossible for Spanish to expand their empire to south and east towards Madre de Dios. However, in the seventeenth century, ancient Indian routes were used by friars to establish mission routes to colonize the region between Rio Marnon in the north and Rio Madre de Dios in the south. This region then remained disconnected from the rest of the globe till the dawn of the twentieth century. Today, seventeen groups of indigenous people are believed to be living in the rainforests of Madre de Dios. Many of these people have little or no-contact with non-Amazonians. They continue to live just like their ancestors did for thousands of years in these rainforests. It is believed that several hundred ‘uncontacted persons’ live in Madre de Dios. Festivals and celebrations here reflect Amazonian cultural identity through dance, traditional food, folk music and mystic ceremonies. As you taste the food, you will recognize that there is definite Brazilian influence on the cuisines available here. Typical food available in this region is combination of produce from farmers’ fields (peanut, banana, cassava and other crops), and resources given by nature (fresh water fish, meat, palm tree heart and more). The region is located almost entirely in low-lying Amazon rainforest. The average temperature here is around 80+ degrees (F) with humidity almost always 90%+. The onset of monsoon is mostly in December and rainy season continues till March. The torrential rainfall causes rivers to swell and often overflow their banks. Notable rivers in the Madre de Dios River watershed include Manu, Health, Acre, Tahuamanu, Tambopata, Inambari, Las Piedras (which is also known as Tacuatimanu), and Los Amigos. The rivers offers the best way of getting from one town to another because of its vast size of the area and its low population density.